A 32 pages free paper that creates counter images and new perspectives on the news stream. In Danish with English contributions and artists projects. 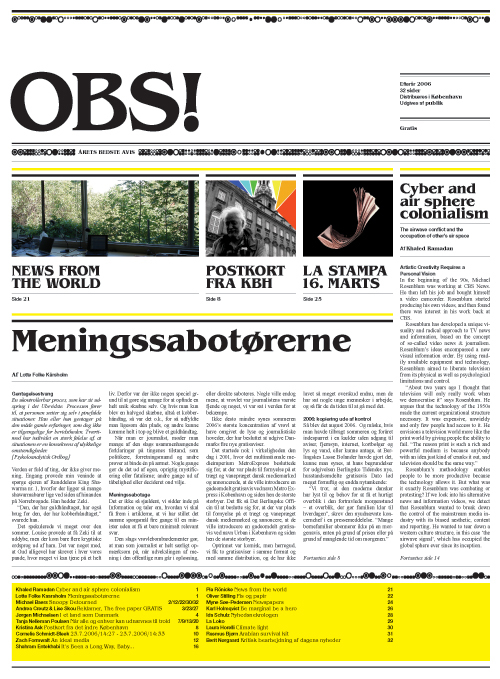 Download the paper (Pdf 2,9 Mb). 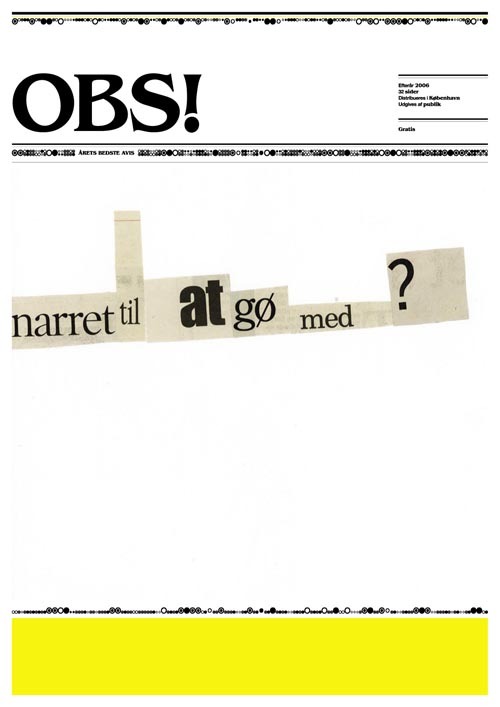 Contributors: Kristina Ask, Michael Baers, Rasmus Bjørn, Shahram Entekhabi, Lotte Folke Kaarsholm, Zach Formwalt, Karl Holmqvist, Laura Horelli, La Loko, Jørgen Michaelsen, Tanja Nellemann Poulsen, Berit Nørgaard, Khaled Ramadan, Pia Rønnicke, Cornelia Schmidt-Bleek, Ida Schulz, Lise Skou & Andrea Creutz, Oliver Stilling og Myne Søe-Pedersen. Curated by Johanne Løgstrup & Katarina Stenbeck.